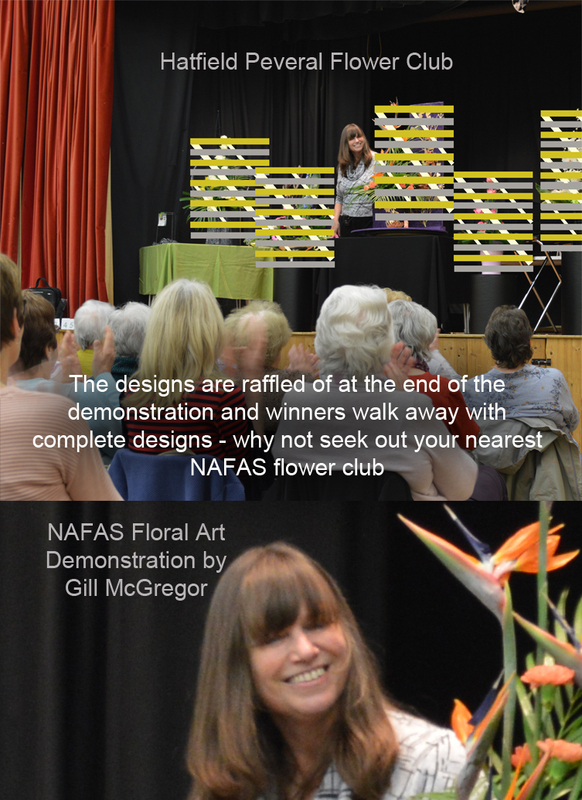 There are 21 different NAFAS flower club areas around the country with each area having within each of their locality flower clubs for many of the different villages and towns around the country. Hatfield Peveral is one such NAFAS flower arranging club, in the centre of the county of Essex, where people who love flowers, love watching the creation of wonderful floral designs or learning how to make themselves, get together on a regular basis to watch and learn from experienced flower arranging demonstrators. 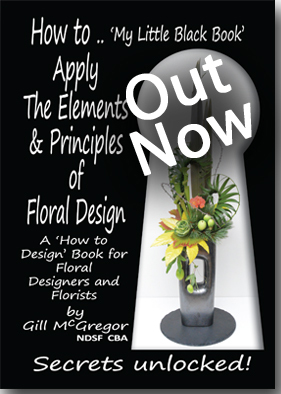 Gill's Flower Demonstration was title 'Spring Sensation' and was warmly received by every attendee on the 7th March 2018. 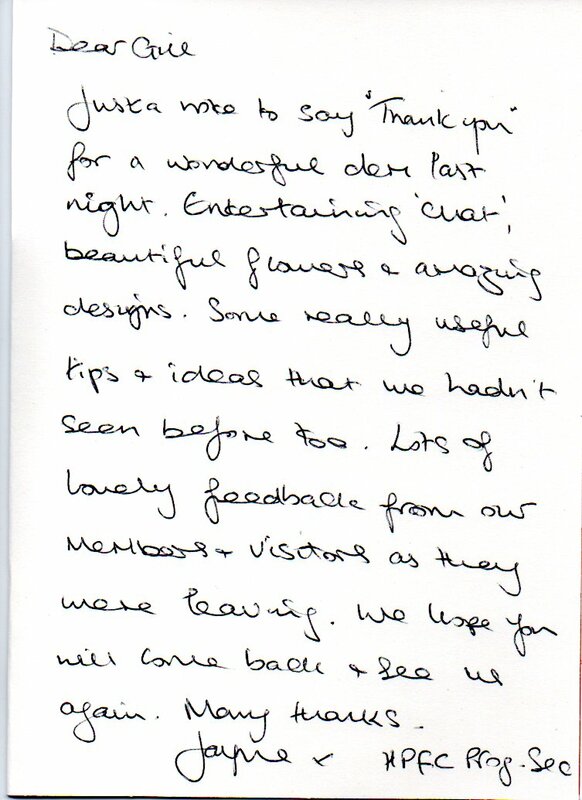 To see what everyone is praising Gill for creating, why not seek out your nearest flower club to find out when they next have a flower arranging demonstrator and simply attend as a visitor - there is no need to join - unless you can't stop yourself.